Concrobium Mold Control kills mold and prevents future mold growth without the use of ammonia, bleach, or volatile organic compounds (VOCs) or biocides, which can be hazardous to one’s health. Used as a mold fogger or mold bomb for optimal mold control in hard to reach or inaccessible spaces, one can rest assured. The product will eliminate growth that may be difficult or even impossible to see. According to the many positive Concrobium Mold Control reviews in which customers indicated the spray is a top mold remediation product, users can also count on its invisible shield to prevent new growth, so the mold control needs to be applied only once for lasting protection. It eliminates and prevents musty, stagnant orders, and should be applied to mold-ridden surfaces in order to alleviate allergies and asthma. 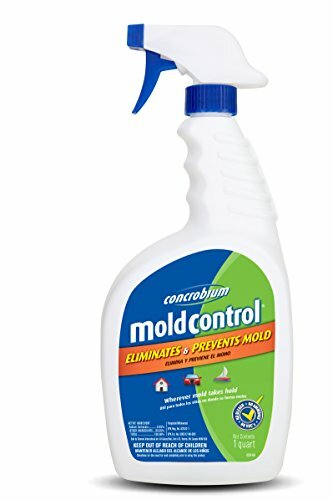 Concrobium Mold Control is an environmentally friendly and safe remover for use on any type of surface, both interior and exterior, and is perfect for homes, garages, offices, boats, and vehicles. Areas such as basements and attics, and hidden areas known for attracting mold such as hard-to-detect mold under the carpet, can easily be cleaned out after one application. The product works especially well on wood, brick, drywall, plastic, stone, vinyl, tile, concrete, Formica, glass, metal, grout, fabric and furniture. It can even be used on painted and paper-based surfaces, such as old books that tend to get musty with age, although extra care should be taken to ensure the proper amount of moisture is applied. Easy to use, Concrobium Mold Control can be sprayed directly to affected surfaces and allowed to dry, which takes just a few minutes. Then, simply wipe the residue away. Its mold-fighting properties will quickly dissipate pesky, potentially harmful growth and act as a mold inhibitor, preventing regrowth once the area is cleaned. 2.1 Can I use this on fabric, and how do I apply it? 2.2 How does Concrobium Mold Control compare to Mold Armor? Homeowners, professional remodelers, subcontractors and mold remediators all agree the product is safe and powerful, and the many positive Concrobium Mold Control reviews demonstrate just how effective the product truly is. It’s easy to use the mold eliminator and prevention spray. Simply dispense and allow the anti-mold spray to dry for a few minutes before wiping away the growth with a moistened cloth or brush. You may then scrub the surface with a brush to clean away any remaining residue. Concrobium works once it dries by destroying spores and leaving behind a transparent barrier. If worried about hard-to-detect mold growth, using a mold test kit Home Depot or Lowes carries is recommended. The remover is also a great HVAC mold cleaner, and cleaning this system will help to alleviate allergies and asthma. If fogging an area, it’s best to remove anything that shouldn’t get wet before applying Concrobium Mold Control. Can I use this on fabric, and how do I apply it? Concrobium Mold Control is safe to use on fabrics, which makes it great for furniture that has spent some time in damp areas, such as in basements, attics or in storage units. It is EPA-registered for fabric use. Dispense with the problem areas and allow the mold remover spray to set. Then, gently wipe the fabric to capture any residue, or use a steam cleaner for the best results. Avoid using hard scrub brushes on delicate fabric. See full instructions on the packaging or check out the Concrobium reviews on Amazon for More Information. How does Concrobium Mold Control compare to Mold Armor? Concrobium Mold Control and Mold Armor are two safe, effective products designed to remove mold and prevent regrowth naturally without the use of harmful chemicals. Concrobium Mold Control reviews indicate that the invisible antimicrobial shield left by the product holds longer than Mold Armor and, therefore, it is more apt to prevent mold regrowth over a longer period of time. Mold Armor is able to shield regrowth for up to two months, while Concrobium is one of the top, long-lasting prevention products. 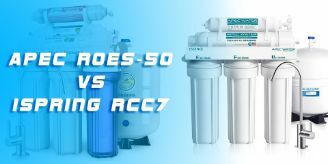 Both products should be used in place of biocides and are safer to use than Fiberlock Technologies’ Shockwave Cleaner, which fights mold using dimethyl benzyl ammonium chloride. Biocide for mold killing is an outdated way to manage growth. Dead mold is still dangerous mold, and biocide can actually be even more dangerous than the mold itself. Therefore, the trick is to remove mold altogether using a natural product that also helps to prevent it from resurfacing.